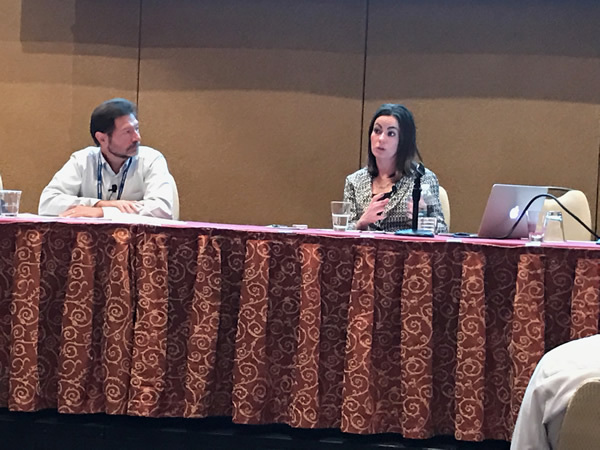 Michelle Walker, SSC’s VP of Finance & Administration, had the opportunity to present at the Associated General Contractor (AGC) Conference in Las Vegas on March 7th and 8th. Michelle co-presented with Kevin Burnett, CFO and SVP of Sundt Construction on “The Benefits of Financial Benchmarking”, educating a packed room of construction executives and managers on best practices related to measuring financial performance of their companies. 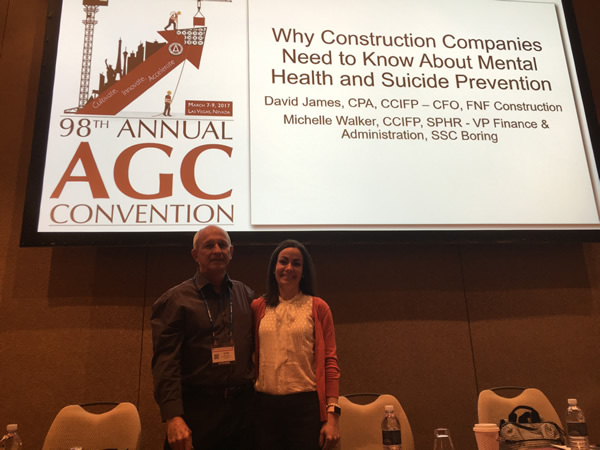 She continued her Suicide Prevention efforts by co-presenting with Dave James, CFO of FNF Construction on “Why Construction Companies Need to Know About Suicide Prevention”, sharing information and ideas on integrating mental wellness into the construction workplace.